There’s no denying it: Brampton’s reputation has been tarnished. Story after story hit the presses this last year about the drama at city hall. And let’s face it, Brampton wasn’t doing so well to begin with. There’s a ton of issues to tackle in this city: more jobs, better transit, better health care, lower auto insurance, better schools. And young people always have the same complaint: there is nothing to do here. All of these issues lead to a general disdain for this city. Brampton-hating is trendy, especially amongst youth. Check YouTube. Check Twitter. 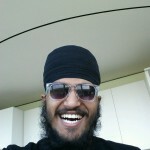 It won’t take long for you to find someone ranting about Brampton. We all do it, without even thinking twice. Is this hate justified? Maybe. Could city hall do a better job representing Brampton? Probably. What about our citizens? Most definitely. If you don’t see hope. If you don’t see opportunity coming to your city, you’re likely to go somewhere else where it’s more exciting. With a determined new mayor, we might just be entering a new era in this city. Only two weeks into the job, Mayor Linda Jeffrey already has a definitive list of changes to her name. She’s asked for a review of the city’s financial operations and management. She’s slashed her salary by $66,000. She’s asked for an investigation into unethical hiring practices in the city. After an 8-month long campaign, Jeffrey was elected into office with an outstanding 49 per cent of the vote. In a city that has been joked about on the streets and in the media for years, the people finally called for a much-needed change. 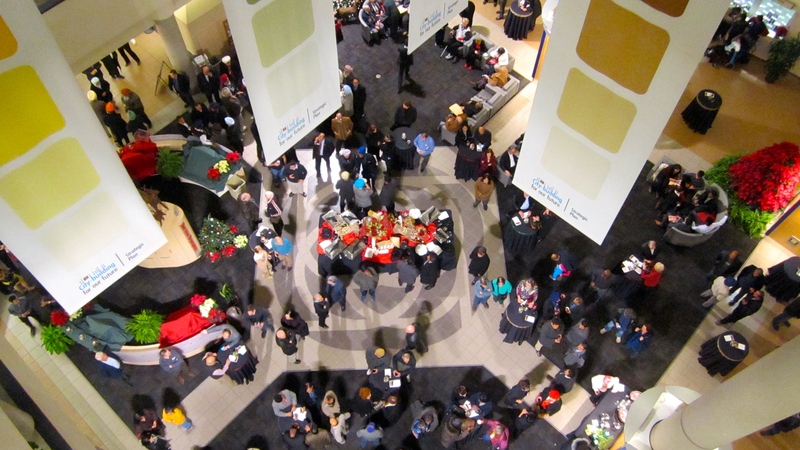 “One of the things Brampton doesn’t do is brag. We’re very humble. We need to start bragging about what we do well,” says Jeffrey. But changing the brand of Brampton can’t come only from city hall. “People who live here are the ambassadors. If you don’t feel the change on the ground over time, you won’t be proud to say you’re from Brampton.” It’s the same stagnance that’s also taking people away from here. 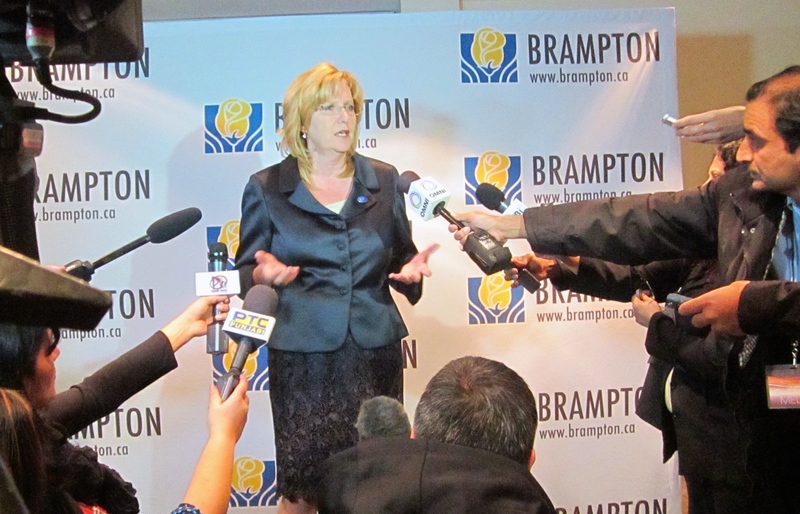 Mayor Linda Jeffrey answering questions from the media on the night of her inauguration. Jeffrey and her husband first moved to Brampton in 1983 as a young couple with little money, juggling school and work. She came here because it was affordable, but she stayed for the people and the community. For Jeffrey, Brampton held a good balance between city, with stores and recreation centres within walking distance, and nature, with ravines and valleys just in her backyard. People who live here are the ambassadors. If you don’t feel the change on the ground over time, you won’t be proud to say you’re from Brampton. This is where she raised her three sons, who are now all grown up and working as a radio announcer, a mechanic and an actor. Jeffrey remembers when she used to bring her boys to play in the splash pad at Gage Park, one of her favourite spots in Brampton. Last summer, she got to bring her granddaughter to the same splash pad. It’s for these moments that Jeffrey loves Brampton and wants to see it reach its full potential. But she admits she can’t do it alone. This is a challenge the Mayor embraced on the night of her inauguration two weeks ago. The city hall was buzzing with excitement, smiles were plenty and hope was rampant. The anticipation for change was undeniable. And Jeffrey made sure to walk into her own rhythm, specifically, to the sound of cultural drums. This mess can’t be fixed in a year or two. It will take years of groundwork. And we need more than a Mayor determined to make a change. We need citizens that are optimistic and appreciate the positives in this city. We need businesses with personality that strive to be different and even show some Brampton pride. These attitudes will only lay the groundwork for the change that will take time to flourish. Great message in this article. Despite having an elected candidate, the onus is on all of us to create the Brampton of tomorrow.